Фотогалерея: "Carboniferous fauna from USA"
Pentremites - бластоидеи - вымершие палеозойские иглокожие. Очень хороши! Nice specimens... I have never seen anything like this on the territory of former USSR. You've wrote that the blastoids are in yellow. And what kind of animals are in purple? 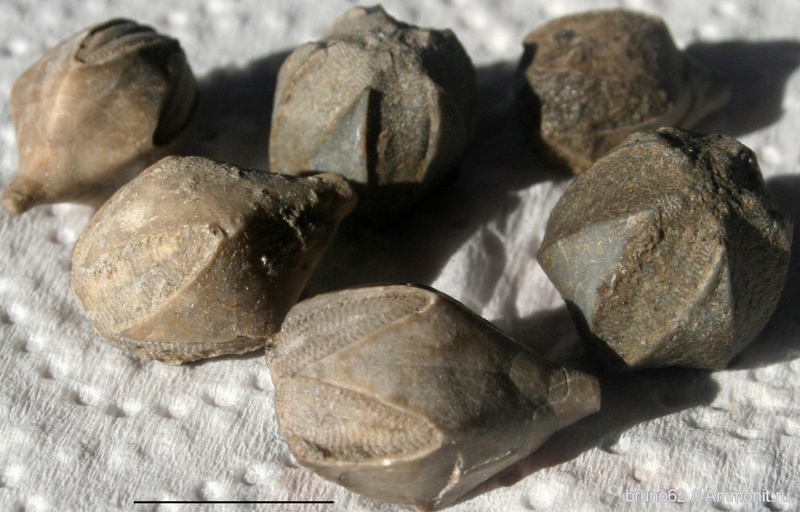 As I see there are some spiriferids, 3-4 species of crinoids, 2 sp. of blastoids and some unidentified purple things... Some stalked echinoderm? I meant the three animals (with column) which look like flowers. 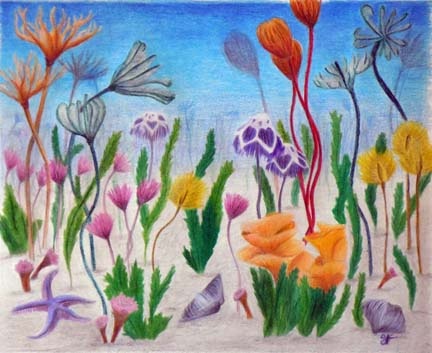 quote : "Reconstitution by Sarah Hamblin Long-stemmed, colorful, flower-like crinoids and their blastoid (yellow) relatives dominate the scene. In the foreground a sea star is nestled between some horn corals, bryozoan colonies grow among the green algae (seaweeds), and a couple of brachiopods lay on the sandy bottom." Thanks a lot, Mr. Bruno!